Contains graves of four Revolutionary soldiers. Location. 42° 56.828′ N, 74° 8.614′ W. Marker is near Amsterdam, New York, in Montgomery County. Marker is at the intersection of New York State Route 67 and Truax Road, on the right when traveling west on State Route 67. Touch for map. Cemetery is before the traffic light and the houses on right. Marker is in this post office area: Amsterdam NY 12010, United States of America. Touch for directions. Other nearby markers. At least 8 other markers are within 3 miles of this marker, measured as the crow flies. Calvary Reformed (approx. 1.9 miles away); Anti Slavery Soc. (approx. 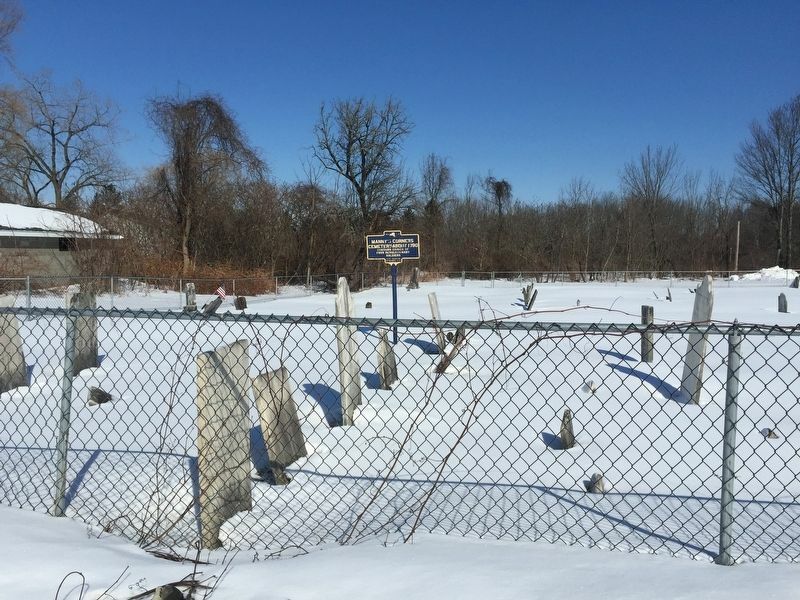 1.9 miles away); Old Hagaman Cemetery 1774 (approx. 2 miles away); Cemetery 1774 (approx. 2 miles away); Old Manny Inn (approx. 2 miles away); War Memorial/ Honor Roll (approx. 2 miles away); Pawling Hall (approx. 2.1 miles away); This is Mohawk Country (approx. 2.2 miles away). Touch for a list and map of all markers in Amsterdam. More. 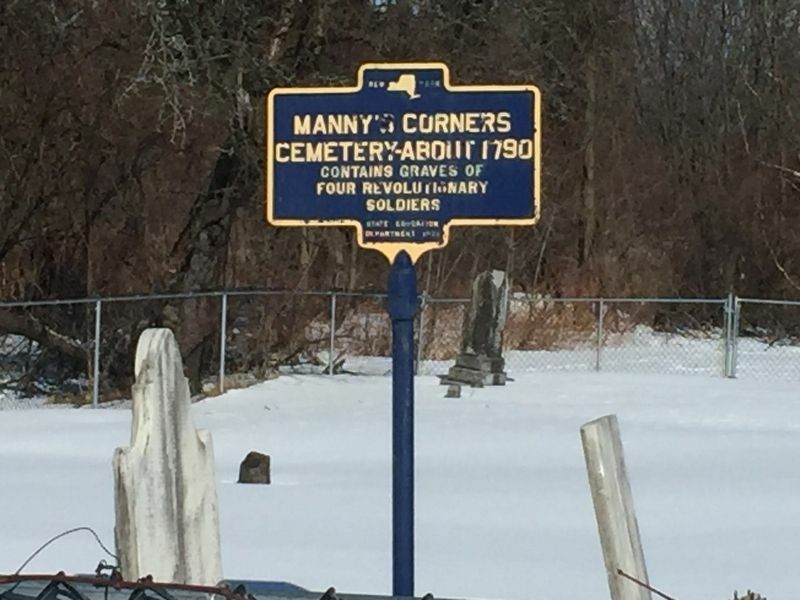 Search the internet for Manny’s Corners Cemetery. Credits. This page was last revised on March 7, 2019. This page originally submitted on March 7, 2019, by Steve Stoessel of Niskayuna, New York. This page has been viewed 55 times since then. Photos: 1, 2. submitted on March 7, 2019, by Steve Stoessel of Niskayuna, New York. • Andrew Ruppenstein was the editor who published this page.